If your ONE has a built-in HDD, you have two options to transfer the music from your Mac or PC. B) Copy your tracks onto the USB HDD (AAC, AIFF, ALAC, FLAC, M4A, MP3, OGG and WAV are supported). D) Go to SETTINGS -> SYSTEM -> USB IMPORT and start the import. The ONE will confirm how many tracks are recognized and will be imported. You cannot import a backup from your Olive Music Server this way. The imported music will show up in the folder "USB Import" and will replicate the same folder structure you have used to copy the music to the USB HDD. If you have used a USB HDD with several partitions the ONE will import music only from the first partition. 2. Write down the IP address assigned to the ONE by your network. 3. On a PC press the WINDOWS + R keys on your keyboard. 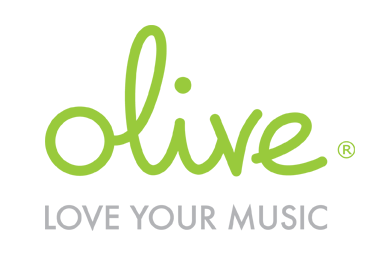 An import folder named "Olive Music" will appear on your desktop / network environment. Drag and drop your complete music folder from your Mac/PC into the import folder and the transfer will begin. A pop-up window on your desktop will indicate the estimated time for the transfer. As soon as the music transfer has started, the ONE will start indexing the imported music and it will appear in the ONE’s local music library. After the music import has been completed we recommend to run a re-sync (settings > system > music library). We recommend using a wired Ethernet connection to transfer larger libraries. Only supported audio formats (WAV, AIFF, FLAC, MP3, AAC, Apple Lossless, Ogg Vorbis) will be imported and show up in the ONE’s local music library. Music in WAV/AIFF format does not have metadata tags and will show up as Unknown Artist/Album in the ONE’s music library. We recommend converting WAV files to FLAC on your Mac/PC before you transfer it. We currently do not support transfer/syncing of music via special software (like e.g. rsync). Please use straight copy via SAMBA share to transfer your music to the ONE for now. Please make sure that the POWER TIMER is set to OFF (settings > system > power) during the transfer.